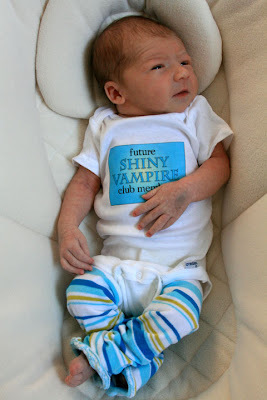 The Shiny Vampire Club: Another Future SVC Member - Jill had her baby! What a little cutie! Congrats Jill!! Um, this is totally unrelated :D sorry, but does anyone else feel like it's been forever since there was anything new posted on Stephenie Meyer's site? Or am I just obnoxiously impatient?? Are those Baby Legs??!! Love them!